The Palestinians and the United Nations condemned the Israeli cabinet's approval of the first officially sanctioned new settlement. JERUSALEM: The Palestinians and the United Nations on Friday condemned the Israeli cabinet's approval of the first officially sanctioned new settlement in the occupied West Bank in more than 25 years. The security cabinet gave its unanimous backing to the new settlement late on Thursday as what is widely seen as the most right-wing government in Israeli history presses ahead with settlement expansion in defiance of international concern. Senior Palestinian official Hanan Ashrawi said the move showed the government was pushing ahead with "their systematic policies of settler colonialism, apartheid and ethnic cleansing, showing a total and blatant disregard for Palestinian human rights." "Israel is more committed to appeasing its illegal settler population than to abiding by the requirements for stability and a just peace," she said. A spokesman for UN chief Antonio Guterres, expressed "disappointment and alarm" at the announcement. "The secretary-general has consistently stressed that there is no Plan B for Israelis and Palestinians to live together in peace and security. He condemns all unilateral actions that, like the present one, threaten peace and undermine the two-state solution," Stephane Dujarric said in a statement. The new settlement will be constructed north of the former wildcat Jewish outpost known as Amona, which was razed in February in accordance with an Israeli High Court order. Prime Minister Benjamin Netanyahu had promised to build a new settlement for its residents after their eviction. "I promised to create a new community and we are going to respect that commitment and create it today," he said ahead of Thursday's security cabinet meeting. Oded Revivi, chief foreign envoy for the umbrella body representing settlers, welcomed the decision. "We will be monitoring the government very closely to see that these plans come to fruition, enabling a new era of building," he said in a statement. Agriculture minister Uri Ariel also welcomed the announcement, saying it would allow the "development of Judaea and Samaria," the phrase right-wing Israelis use for the West Bank. It will be the first entirely new settlement that an Israeli government has approved since 1991, the anti-settlement NGO Peace Now said. In recent years, construction had focused instead on expanding existing settlements. Peace Now said its location deep in the West Bank was "strategic for the fragmentation of the West Bank," which Palestinians see as the bulk of their future state. "Netanyahu is held captive by the settlers, and chooses his political survival over the interest of the state of Israel," the NGO said, adding it was pushing Israelis and Palestinians closer to "apartheid." The international community regards all Israeli settlements in the occupied Palestinian territories as illegal and a major obstacle to Middle East peace. Israel draws a distinction between those it sanctions and those it does not -- so-called outposts. The cabinet also invited tenders for nearly 2,000 new homes in existing settlements and discussed retroactively legalising three outposts, Peace Now said. 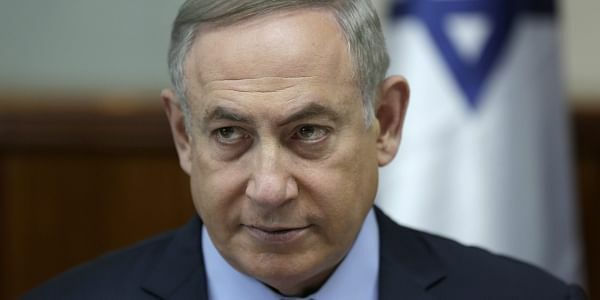 Ronen Bergman, senior correspondent for Israel's Yediot Aharonot newspaper, said Netanyahu, who has faced corruption allegations, has been dragged further right to keep his government together. The far-right pro-settlement Jewish Home party, part of Netanyahu's coalition, is often dictating the government's agenda, he added. "He has been shifted more and more to the right since being re-elected. "(Netanyahu) is not calling the agenda, he is chasing the agenda," Bergman told AFP. The former US administration of Barack Obama was deeply opposed to Israel's expansion of the settlements and in December withheld its veto from a UN Security Council resolution condemning the policy. But since Donald Trump took office in January, settler leaders have been emboldened by his far less critical stance and Israel has since announced more than 5,500 new homes in existing settlements. Netanyahu has been in discussions with the Trump administration on how to move ahead with further construction. Trump has pledged unstinting support for Israel but has also urged Netanyahu to "hold back on settlements for a little bit" while his administration looks for ways to restart Israeli-Palestinian talks.